It might be hard to believe, but this was shot just minutes before, on the other side of the road from this thunderstorm. It is indeed amazing, the kind of light that extreme weather brings. To make things interesting, I captured multiple consecutive shots to get the flower effect. 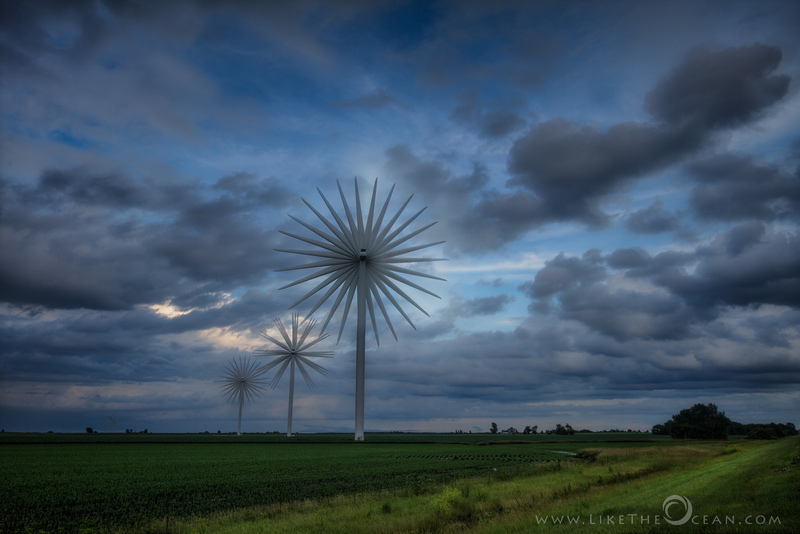 Though these windmills were close, their different rotating speeds caused different flowery effects. For me, there’s something really calming about watching a field of windmills, especially at sunrise or sunset. Your photo is so creative and gorgeous, especially with the dramatic weather. I don’t live near windmills, so maybe that’s why I get excited about them. Anyway, I loved this photo! Thank you. I will want to see it.